Are you aching to write fiction, but you’re not sure if people will like it? Do you have a green thumb and you think you could make money with gardening articles? If you have a passion and would like to share it with the world, blogging is the thing for you. It not only gives you a platform to speak with other people and share your thoughts, but you have the opportunity to make money. The big question is how to choose the best blogging platform. Quite a few options exist, so I’m going to narrow down the list to the most versatile ones for different styles of blogging. But first we need to figure out what type of blogging you plan on doing. We’re assuming that most people coming to this article are beginners. Why? Because an intermediate or advanced blogger, developer or designer most likely already went through this process at some point in time. Therefore, a beginner blogger needs to ask exactly what they want out of a blogging platform. This is key to deciding on the right solution since you want to find the most economical option while also getting the features to turn your blog into something special. Therefore, run through this list of questions before you scroll through the blogging platforms below. This way you’ll understand how your preferences align with certain systems, and you’ll have an easier time understanding which ones are right for you. Is this going to be a hobby blog, or do you eventually plan on making money from it? Some blogging platforms minimize the opportunities for you to make money with your blog. These are primarily made for hobbyists who simply want to practice writing, share some thoughts online or post interesting pictures. If you’re in the hobbyist group, it’s wise to consider one of these limited platforms since they’re often free. But if you have any plans on making money in the future, your best bet is to go with a more flexible system. Are you interested in self-hosting? A self-hosted platform isn’t that hard to learn about, but you’ll have to mess with things like domain names, WordPress hosting, and potential database situations. On the other hand, hosted solutions give you most of the features wrapped into a nice package. They’re more limited in terms of customization, but they work out nicely for people with minimal technical skills. What’s your budget? Although most blogging platforms are fairly inexpensive, the self-hosted solutions require you to pay for hosting, domain names and potentially some premium plugins and themes. We’ll outline pricing for all platforms below, so you can automatically knock options off your list if they’re too expensive. Do you need any special features besides the blog? Some platforms allow for eCommerce stores, while others do not. Some have tons of apps and plugins, while others are rather limited. If you only need a simple blog, you have lots of options. However, a business site combined with a blog, or an online shop combined with a blog, requires a more advanced site builder. Now that we’ve discussed the questions to ask yourself beforehand, keep reading to learn about the wide range of blogging platforms to choose from. I’ll cover everything from pricing to hosting methods, and customization options to monetization prospects. WordPress.org is the self-hosted version of WordPress, so you have all sorts of options for monetization. In fact, you’re not restricted when making money, so you can do anything from affiliate marketing to eCommerce, or areas like paid forums or online courses. WordPress.org also allows whatever ads you want, so you could potentially make money from day one. As mentioned, WordPress.org is a self-hosted solution. This means you must find your own hosting, manage the site files, install WordPress on the host, and buy your own domain name. The WordPress software itself is completely free, but you will end up spending around $10 per year for a domain name. The hosting ranges depending on which provider you go with, but the lower shared hosting starts around $3 per month. For blogs, you typically shouldn’t be paying more than $25 per month unless you really start getting lots of traffic. In addition, WordPress themes can run you around $50 to $100, and you may need to pay for some premium plugins. That said, you have plenty of places to find free themes and plugins. Extendability is one of the main reasons bloggers go with WordPress.org. 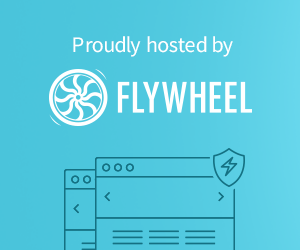 Not only does it have a huge support and development community, but you’re able to access thousands of plugins for things like forums, security, caching, eCommerce, and more. In short, WordPress.org turns into any type of website if you have the right plugins and theme. It’s not only a blogging platform. Here’s a great guide on how to start a blog using WordPress. Although WordPress.com is the same software as WordPress.org, it’s more controlled and watered down. As for monetization, it minimizes your reach when it comes to making money. Basically, you can’t place your own ads on the site and affiliate links aren’t permitted. WordPress.com is best for hobbyists (unless you choose one of the paid options). This is a hosted version of WordPress, so you don’t have to go out and get your own hosting or domain name. It’s all wrapped up in a neat little packaged, making it ideal for beginners who don’t want to mess with hosting. There’s a free plan, but you can also get additional features (more akin to a self-hosted solution) starting at $2.99 per month). The paid plans are nice if you’re not technical but still want to monetize your site and get some cool plugins. Once again, the plugins are limited with the free plan, but the paid plans offer items for monetization, Google Analytics, and more. Tumblr has some rules for monetization, but they’re not as strict as others. The platform allows for affiliate links and ads. One of the main reasons you might get blocked from an ad network is if you were to post ads on a “not safe for work” Tumblr blog. However, Tumblr is fairly relaxed with monetization overall. Tumblr is hosted, so it’s great for beginners. You get your own Tumblr URL, so it’s not that professional. Also, it’s more of a visual platform for photo bloggers and people who share gifs and memes. Tumblr is a blogging platform and nothing else. Don’t expect to make a beautiful online store or a business website with Tumblr. As a complete website building system, Squarespace doesn’t limit your ability to monetize a site. Therefore, you can post ads, affiliate links or build an online store. Keep in mind that Squarespace doesn’t have plugins or apps, so some monetization tactics (like paywalls or online courses) might be limited. Squarespace is a fully hosted option. It’s one of the best choices for beginners since you don’t have to think much about design, and the templates are beautiful. Forget about finding a host and domain name by yourself. It’s all right there for you to take advantage. Squarespace starts at $12 per month for a personal website and blog. The Business plan comes with Google email accounts for $18 per month. Online stores start at $26 per month and go up to $40 per month. The idea behind Squarespace is to have all of the features you need in one place. 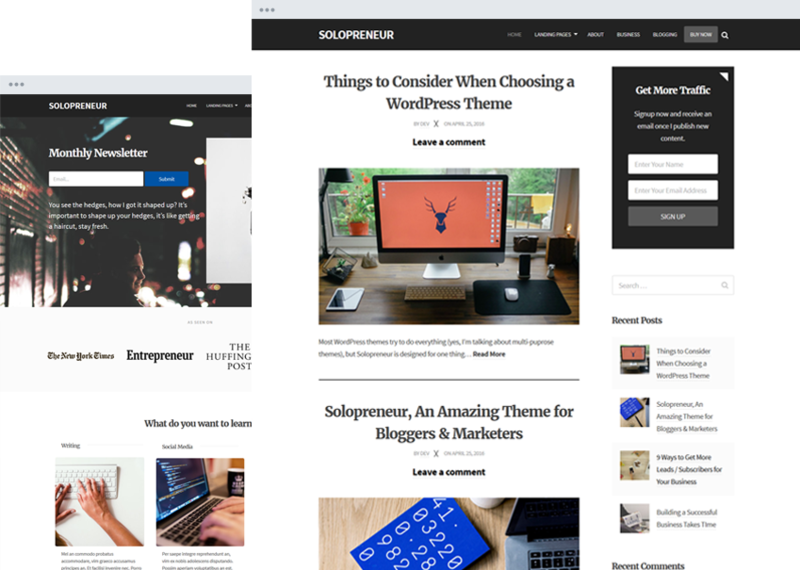 Yes, you can expand your blog with the features included (like for an online store or advertisements,) but Squarespace has no plugins or apps. This could be limiting for some bloggers. The monetization is somewhat limited except for the primary Google services. For example, Blogger integrates perfectly with Google AdSense, so you could make money that way. Affiliate links are allowed as well. Blogger comes as a hosted solution, similar to that of Tumblr. Therefore you can sit back and relax without looking for hosting or managing the site setup. It’s a nice blogging system that gets you up and running within minutes. All you need is a Google account and you’re good to go. Blogger has several widgets and add-ons to drop into your blog. These include contact forms, social feeds and download counters. However, these widgets are blog-oriented, so you’re not going to make a business website or eCommerce store out of Blogger. It’s strictly for blogging. Which Blogging Platform Is For You? If you’d like the most control over your blog and the option to make far more than a blog, WordPress.org is the best choice. WordPress.com has some solid paid solutions for those with minimal technical knowledge, while Blogger is a solid bet if all you need is a free blog. I like Squarespace if you’d rather not go self-hosted but still want to make a full website or online store. As for Tumblr, it’s really only good for image-based blogging. If you have any questions about how to choose the best blogging platform, let us know in the comments below.